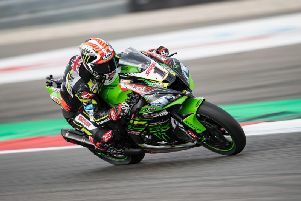 World Superbike champion Jonathan Rea finished second for the tenth consecutive race this season at Assen on Sunday. Spanish sensation Bautista became the first rider ever in World Superbikes to win the first ten races of the season. The Aruba.it Ducati rider qualified on pole on his V4-R machine and the 34-year-old was able to take control of the race from the front. Ulsterman Rea faced an uphill battle as he started the race from the third row of the grid after qualifying in eighth place. The four-time champion missed the opportunity to put in a fast qualifying lap when the Superpole session on Saturday was stopped after Ryuichi Kiyonari and Toprak Razgatlioglu crashed out. It proved a challenge too far for Rea, who had won eight of the last ten races held at the Dutch TT circuit prior to Bautista’s victory in race one. The gap between them at the finish was 3.1 seconds, with home favourite Michael van der Mark taking third ahead of his Pata Yamaha team-mate Alex Lowes. Rea is now 44 points behind former MotoGP rider Bautista, who remains unbeaten in his rookie WSBK season. 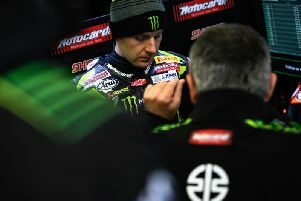 The Superpole race scheduled on Sunday was cancelled after snow and hailstones affected the original running order on Saturday. Race two will take place at 13:00 BST.